Terner og vadefugle i hundredvis mistede æg og unger, da et ekstremt højvande natten mellem onsdag og torsdag oversvømmede Vadehavets kystnære kolonier. Det gik blandt andet ud over Danmarks største bestand af sjældne hvidbrystede præstekraver og truede dværgterner. Voldsom færdsel af turister tvinger fuglene længere ud, så de bliver mere udsatte for højvande. Men fuglene bør beskyttes bedre, mener ornitolog fra Fanø. En storm og en ekstrem høj vandstand natten mellem onsdag og torsdag i denne uge har forårsaget ragnarok og massedød blandt flere af Vadehavets og marskens sårbare fuglearter. Det er gået hårdt ud over havterner, dværgterner, klyder, strandskader og navnlig de hvidbrystede præstekraver, der har deres absolut vigtigste danske ynglepladser på Rømø og Fanø. – Højvandet var ekstremt, og der er formentlig tale om den højeste vandstand, vi har set i vadehavsregionen på denne tid af året i 40-50 år. For de fuglearter, der yngler udenfor digerne, på strandene og højsanderne, har ødelæggelsen været total. Hundreder af havterner, dværgterner og klyder fik i løbet af nattens højvande, der kulminerede ved 2-tiden, deres reder med æg eller unger oversvømmet, siger ornitolog og naturvejleder, Kim Fischer, fra DOF Sydvestjylland. This entry was posted in 2017, Scandinavian, X and tagged nesting, protection, shorebirds, waders on 10 Jun, 2017 by Birdlife20 owner. 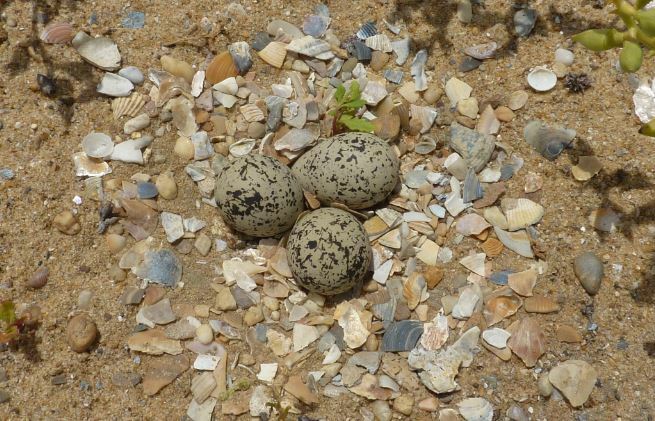 Many plover species nest on the ground in sites where there is no plant cover to detect more easily approaching predators, but where their nests receive direct sunlight. “This can represent a significant challenge,” as indicated to SINC by Juan A. Amat, a researcher at the EBD and one of the authors of the study, which was published recently in the journal Global Ecology and Biogeography. 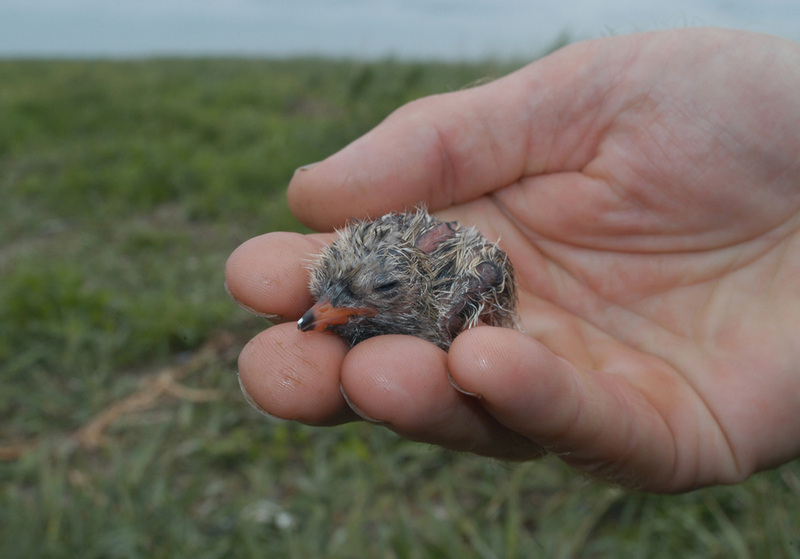 The scientist adds that the situation can become complicated for birds in the middle of the day, “when incubating adults may not be able to tolerate the high temperatures.” Typically, the optimum temperature adults provide for embryonic development is 35-39 ºC. This entry was posted in 2017, International, X and tagged Climate change, nesting, shorebirds, study on 5 Jun, 2017 by Birdlife20 owner. Whether migrants or residents, shorebirds and the habitats they depend upon are exposed to an increasing myriad of anthropogenic threats. Within the Pacific Flyway, 11% of shorebird populations face long-term declines; none are known to be increasing. This entry was posted in 2017, International, X and tagged arctic, project, shorebirds on 28 Apr, 2017 by Birdlife20 owner. An international team of citizen scientists and researchers has identified a major contributor to the dramatic decline of migratory shorebird populations in Australia. University of Queensland School of Biological Sciences researcher Associate Professor Richard Fuller said Australian shorebirds were under threat due to the degradation and destruction of mudflats thousands of kilometres away in north-east Asia. Associate Professor Fuller was part of a team of researchers who worked on a shorebird study led by the University of Maryland’s Assistant Professor Dr Colin Studds. Dr Studds said a critical factor in the decline of migratory shorebirds was their dependence on mudflats in the Yellow Sea, between China and South Korea. “The more a species relies on the disappearing Yellow Sea mudflats, the faster they are declining,” Dr Studds said. He said birds including species of godwit, curlew and sandpiper were under threat. Many birds follow the East Asian Australasian Flyway migratory path from their non-breeding grounds in Australia to breeding sites in the Arctic, resting and refueling in the Yellow Sea. “Scientists have long believed that loss of these rest stops could be related to the declines, but there was no smoking gun,” Dr Studds said. The researchers analysed citizen science data collected between 1993 and 2012 on 10 key species, and what they found was dramatic. Even though the birds only spend one or two months of the year at the mudflats, it was the most important factor in determining the population trend. Associate Professor Fuller said the study was founded on decades of bird counting effort by volunteers across Australia and New Zealand. “Without this effort, the study would have been impossible,” he said. Australia has signed agreements with China, Korea and Japan to protect migratory birds, yet the birds have continued to decline. “Every country along the migration route of these birds must protect habitat and reduce hunting to prevent the birds declining further or even going extinct,” Associate Professor Fuller said. This entry was posted in 2017, International, X and tagged human impact, migration, shorebirds, study on 14 Apr, 2017 by Birdlife20 owner. Understanding and managing migratory animal populations requires knowing what’s going on with them during all stages of their annual cycle—and how those stages affect each other. The annual cycle can be especially difficult to study for species that breed in the Arctic and winter in South America. A new study from The Condor: Ornithological Applications tackles this problem for Semipalmated Sandpipers, historically one of the most widespread and numerous shorebird species of the Western Hemisphere, whose populations in some areas have undergone mysterious declines in recent years. 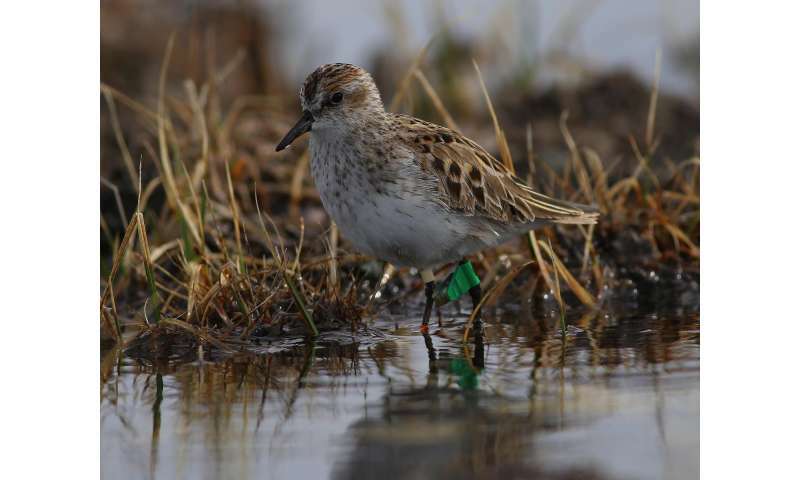 Stephen Brown, Vice President of Shorebird Conservation for Manomet, assembled a large group of partner organizations to deploy 250 geolocators, tiny devices that use light levels to determine birds’ locations, on adult sandpipers at sites across their breeding range in the North American Arctic. Recapturing 59 of the birds after a year to download their data, they found that the eastern and western breeding populations use separate wintering areas and migration routes. Birds that breed in the eastern Arctic overwinter in areas of South America where large declines have been observed. The researchers believe these declines are tied to hunting on the wintering grounds and habitat alteration at migration stopover sites, although their precise impacts remain unclear. This entry was posted in 2017, International, X and tagged arctic, migration, shorebirds, study on 8 Apr, 2017 by Birdlife20 owner. Gone unchecked, the element can lead to sickness, sterility, or even death in breeding shorebirds. Life in the Arctic has its challenges. The shorebirds that breed there each summer have to complete some of the longest migrations on record. Once they arrive, they’re forced to deal with harsh living and foraging conditions—made worse by the ill effects of a changing climate. Now scientists are adding another hardship to the list: mercury poisoning. A new study by researchers at McGill University and the U.S. Fish and Wildlife Service shows that Arctic shorebirds are exhibiting high levels of mercury, which could be dangerous for their population numbers. “The concentrations in some were much higher than we would have ever expected for small birds that are foraging on insects,” says Marie Perkins, a PhD candidate at McGill and lead author of the study. This entry was posted in 2016, International, X and tagged arctic, human impact, shorebirds on 19 Feb, 2017 by Birdlife20 owner. There are almost 30 species of shorebirds that breed in the Canadian Arctic, and all are strongly migratory. Surely the longest of their migrations must count among the most impressive feats in the natural world. Red Knots, for instance, are only nine inches long. And yet, every year, they fly some 9,000 miles from their summertime Arctic nesting territories to their South American vacation hideaways—and then another 9,000 miles back again. Unfortunately, shorebird population are hurting across the globe. In North America alone, shorebird populations have plummeted by 70 percent since 1973, and among those, birds that breed in the Arctic are especially threatened, writes journalist Margaret Munro in a recent Nature feature. But a workable solution is hard to come by because the birds face a multitude of threats as they make their way across the Western Hemisphere. This entry was posted in 2017, International, X and tagged arctic, shorebirds on 19 Feb, 2017 by Birdlife20 owner.